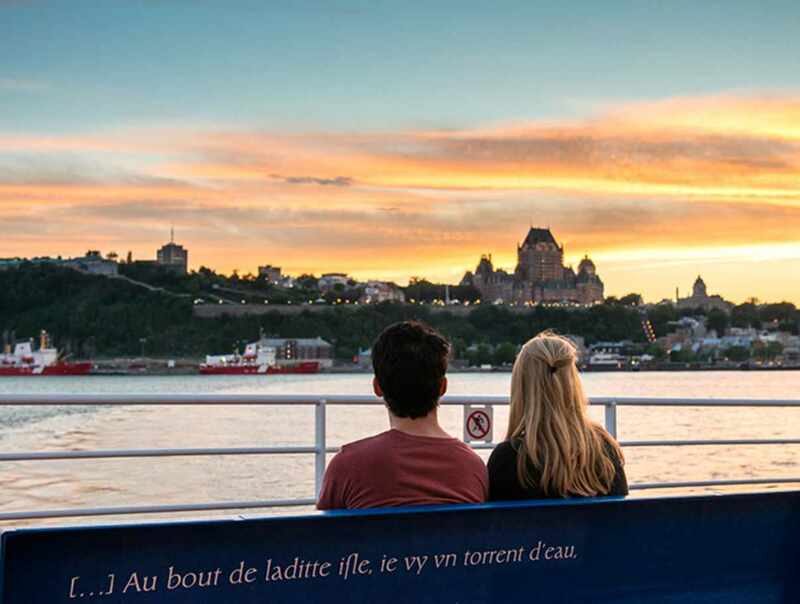 Hop on the ferry to see Québec City from an entirely different perspective. 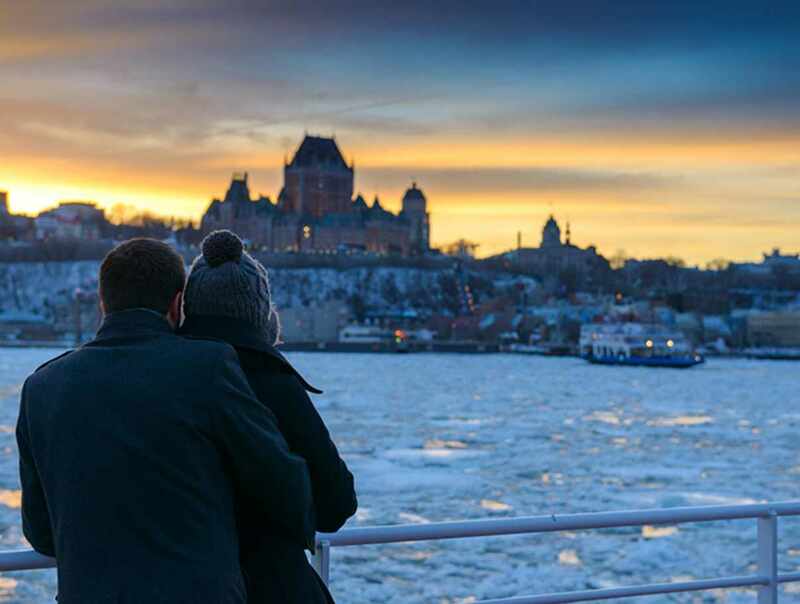 The Québec City-Lévis ferry offers spectacular views of Old Québec from the water and provides an excellent vantage point for taking gorgeous photographs of the river at any time of the day and during any time of the year. 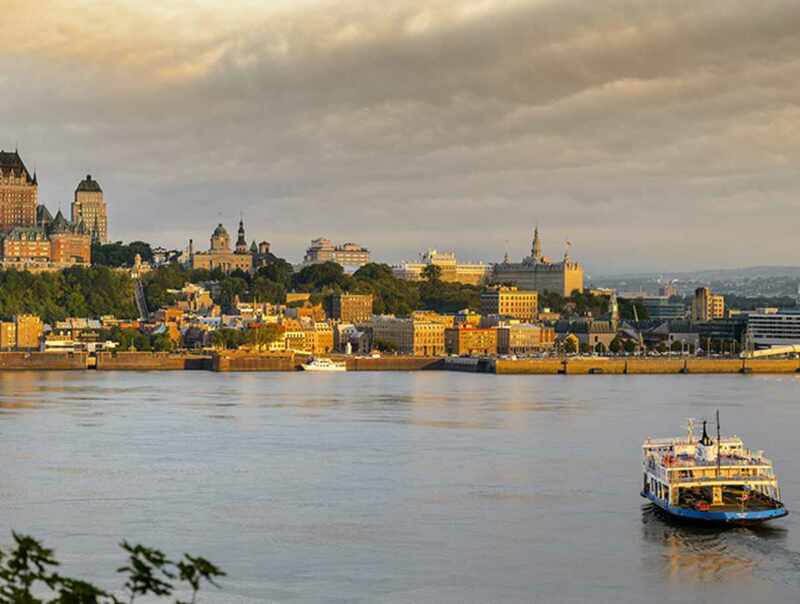 Travel from the marked bike path on one shore to the other on the opposite shore: Corridor du Littoral (Québec City) and Parcours des Anses (Lévis). In winter, the ice forming and moving on the River is truly impressive. Over the Christmas holidays and during spring break, age 15 and under travel for free if accompanied by an adult. Shiver me timbers, mateys! 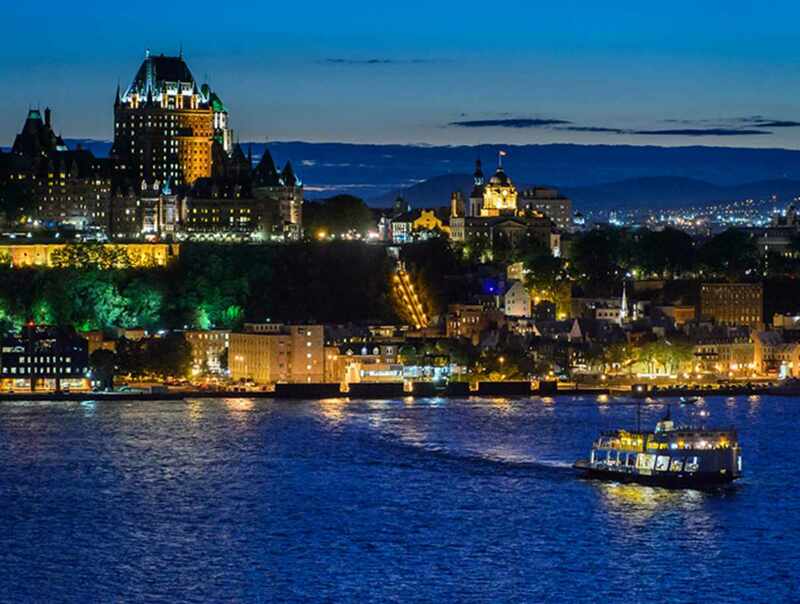 Hours: open year-round, 6 a.m. to 2:20 a.m.
Closed: Closed from 2:30 a.m. to 6 a.m.